Willow Tree is an intimate line of figurative sculptures representing sentiments of love, closeness, healing, courage, hope - all the emotions we encounter in life. This iconic figure of peace and serenity is a tangible reminder of healing, comfort, hopefulness and remembrance in times of sorrow. The item is made in resin and hand-painted with lead-free paint. 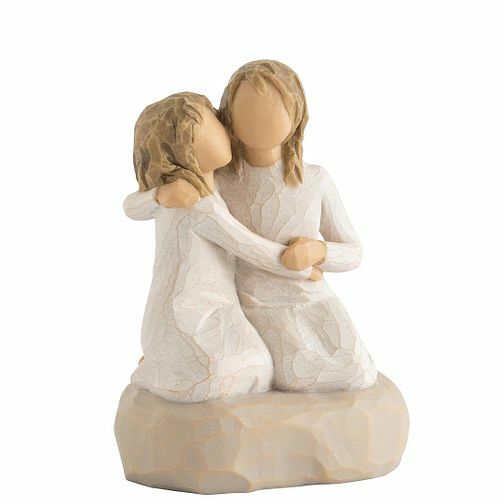 Supplied in a branded gift box and a gift tag with sentiment 'Nothing comes close to the closeness of sisters'. Not a toy or children's product. Intended for adults only. Willow Tree Sister Mine Figurine is rated 5.0 out of 5 by 1.